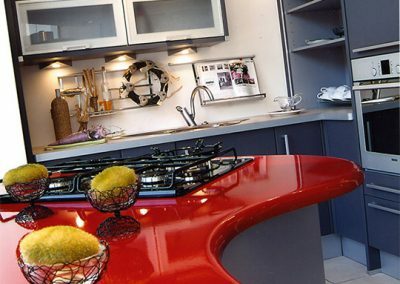 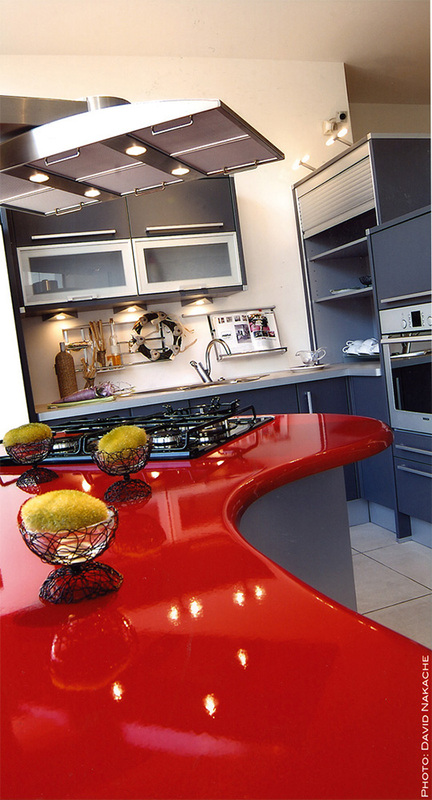 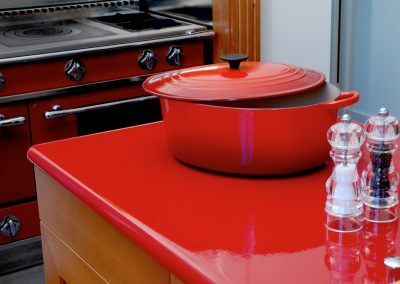 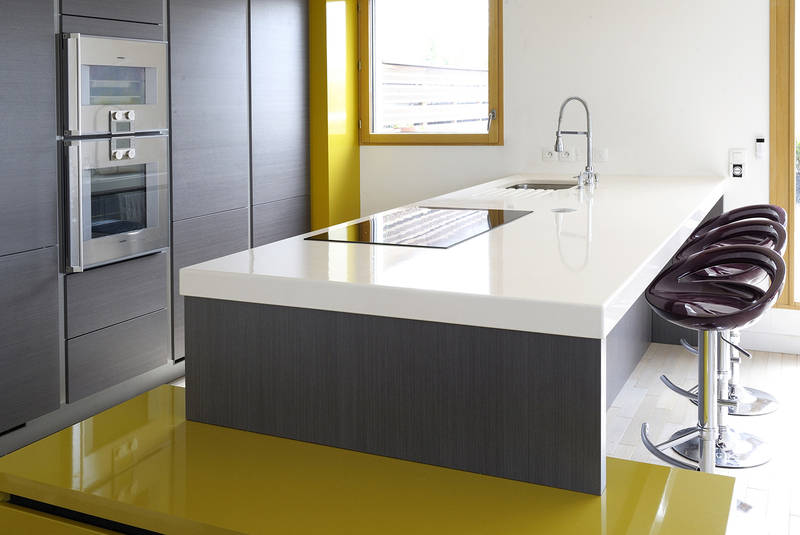 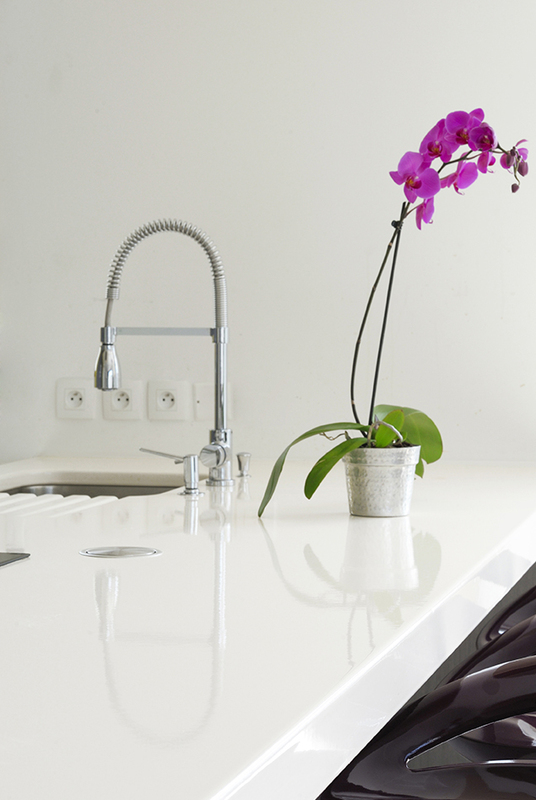 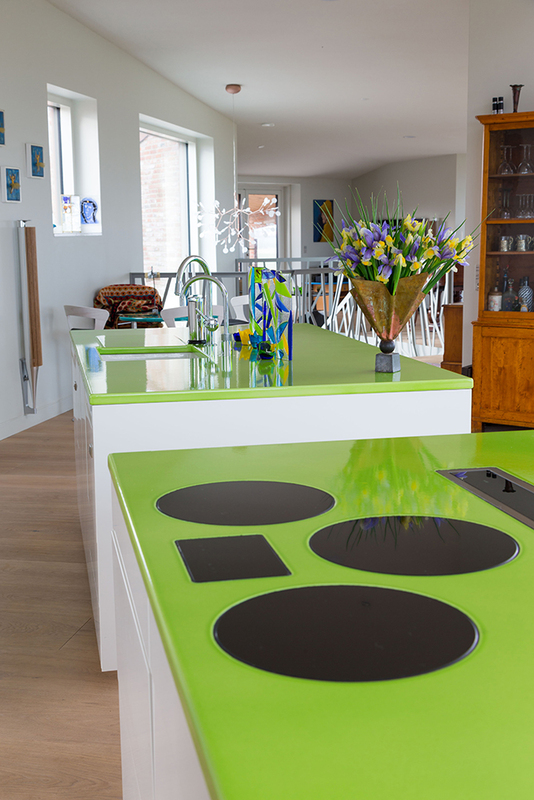 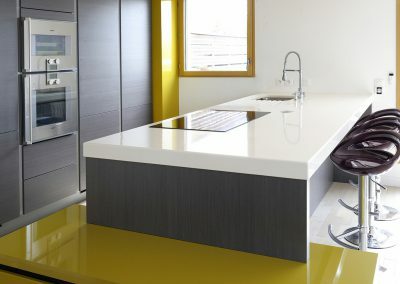 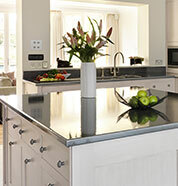 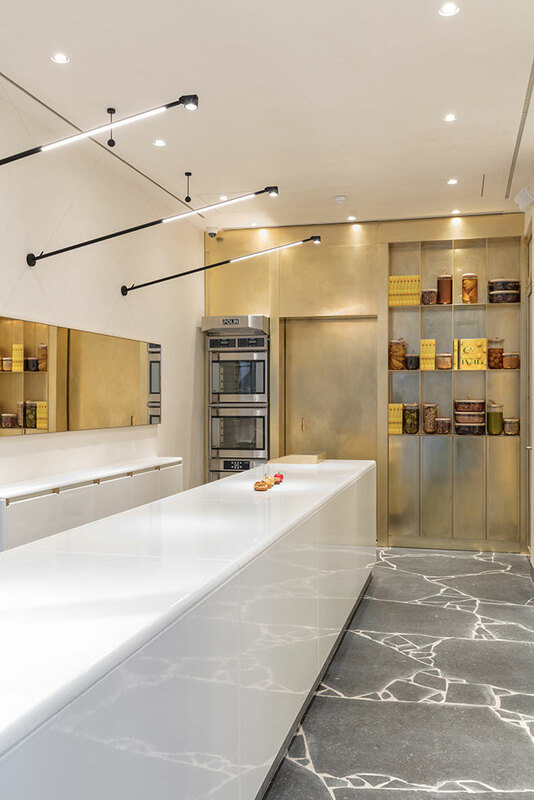 Pyrolave glazed lava is the perfect material for a kitchen worktop as it can withstand both very high temperatures and acids without any risk of burns or stains. 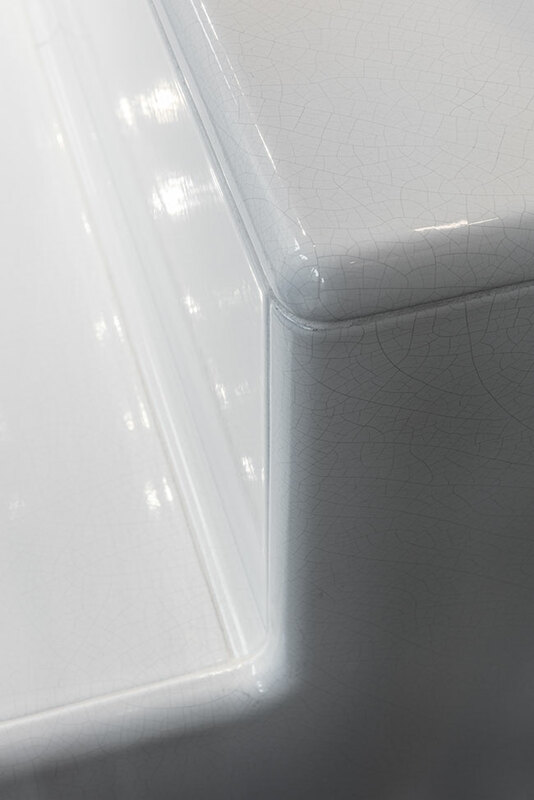 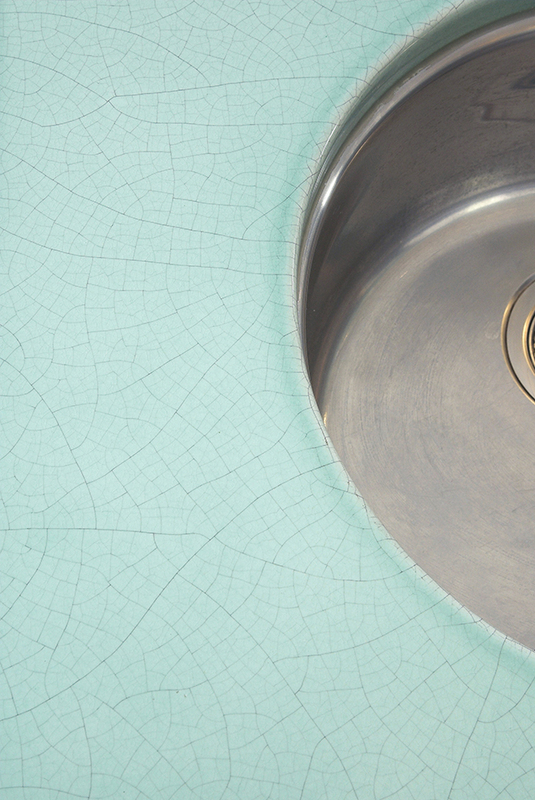 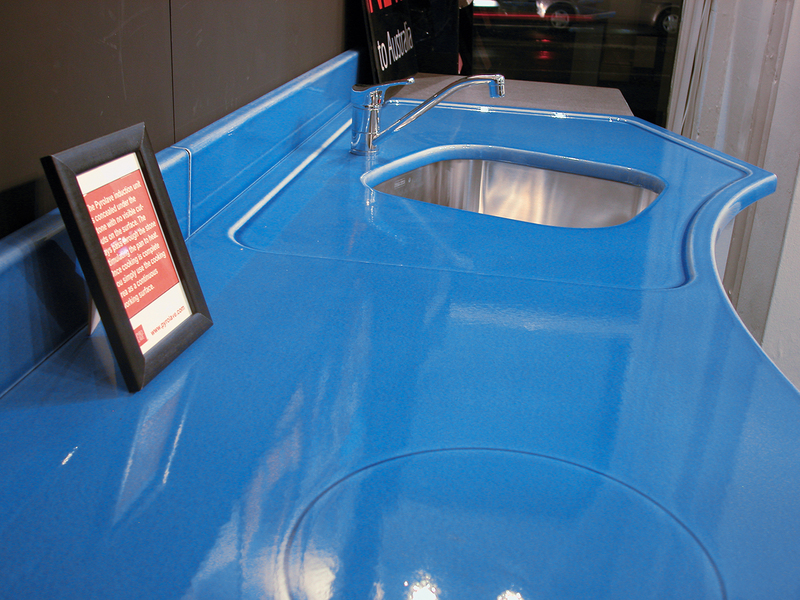 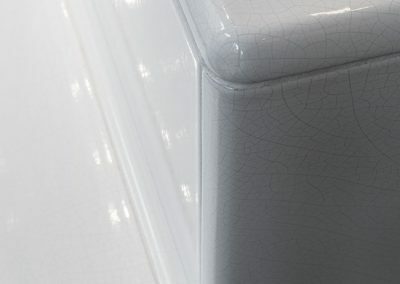 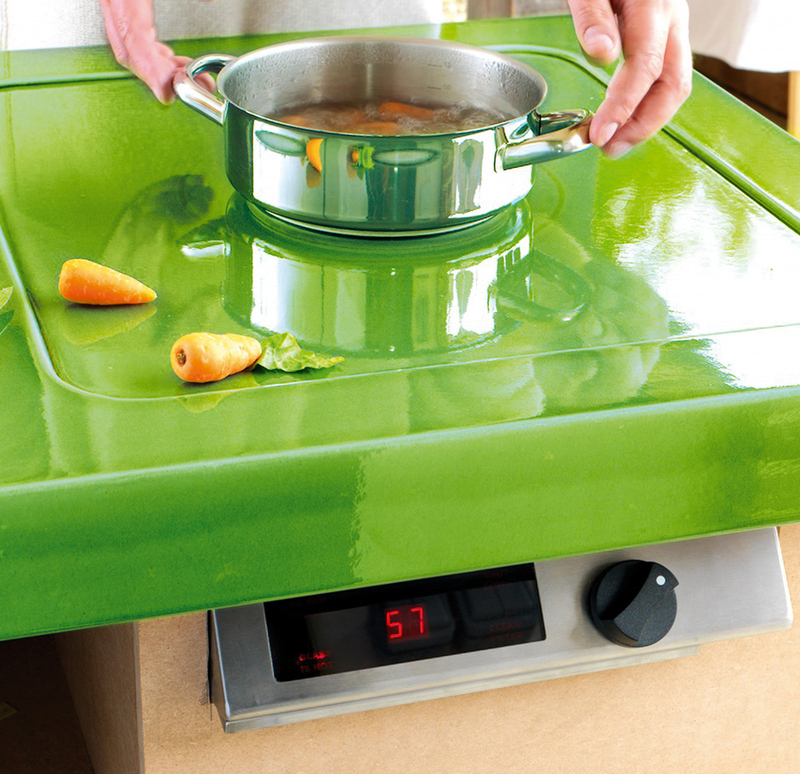 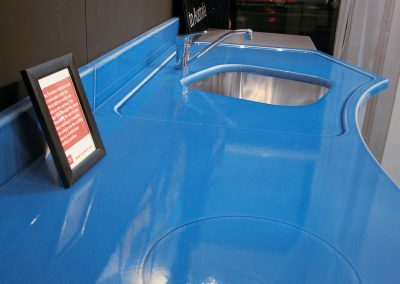 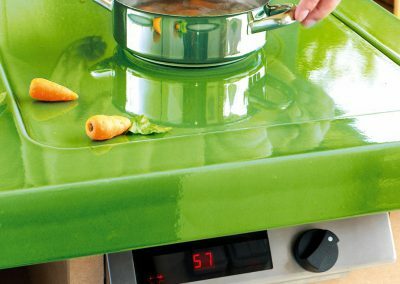 The enamelled, non porous surface, also guarantees perfect hygiene and provides safe use for food preparation. 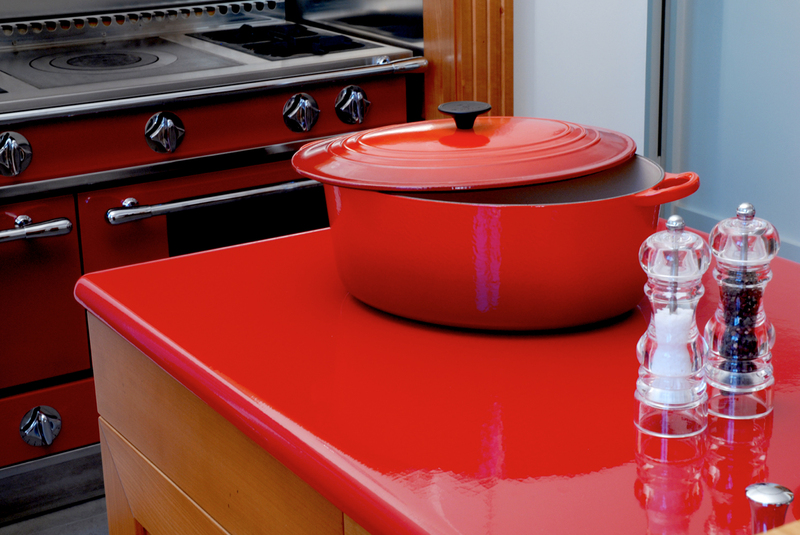 The Pyrolave inimitable aesthetic signature meets all the singular desires: a wide selection of colours, textures, thicknesses and edges profiles offer a complete flexibility adaptable to all styles of interior design, from a traditional cottage style shaker kitchen to slick modern and minimal designs, Pyrolave sits perfectly with both. 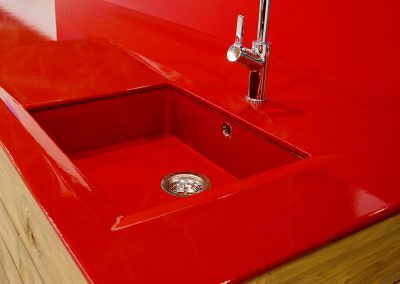 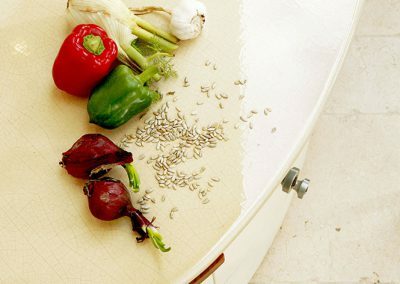 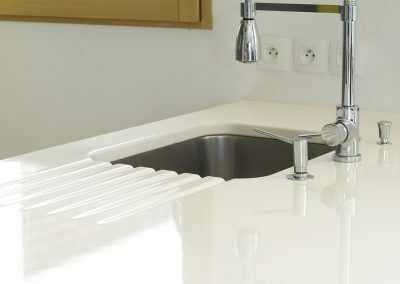 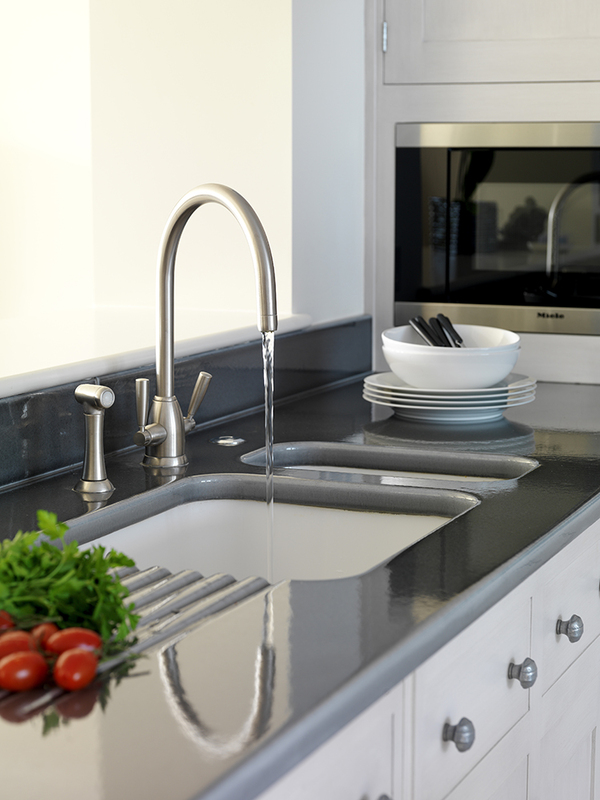 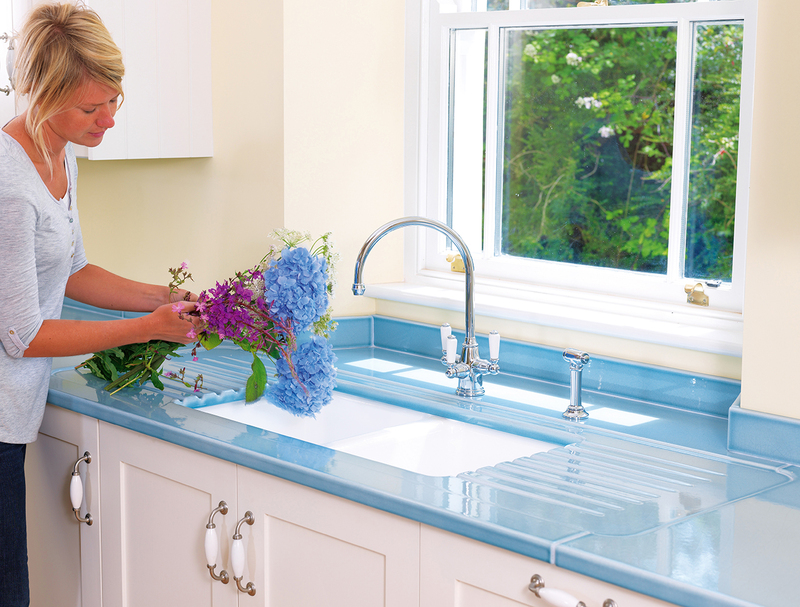 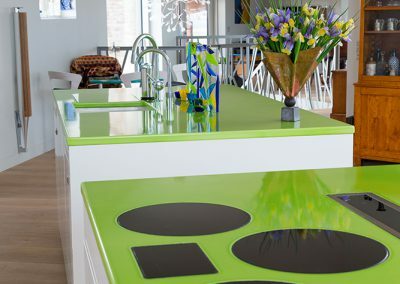 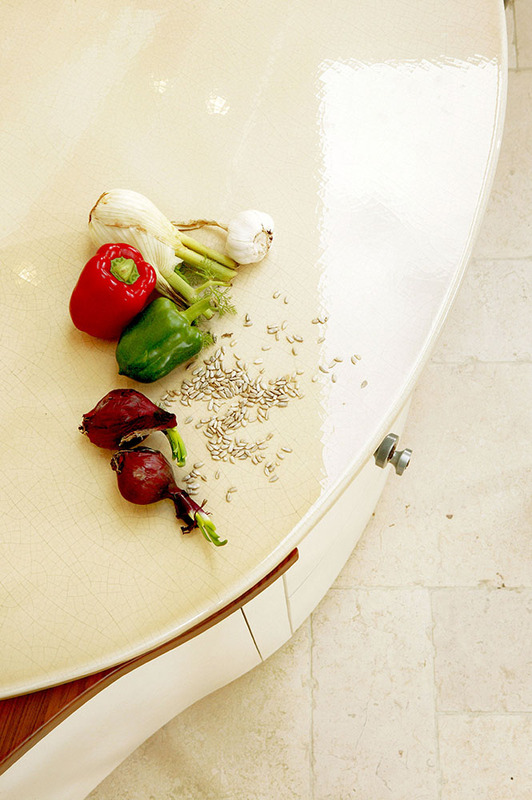 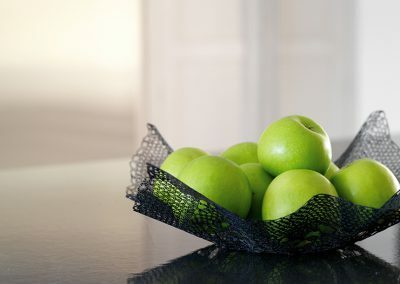 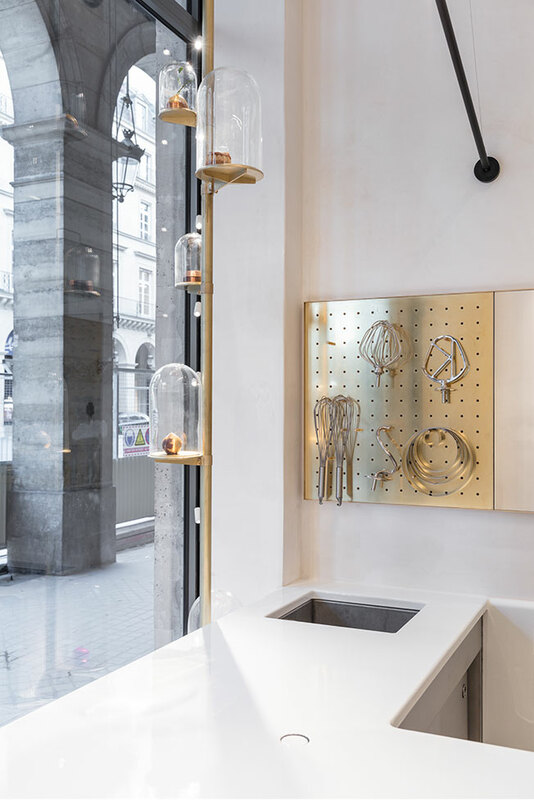 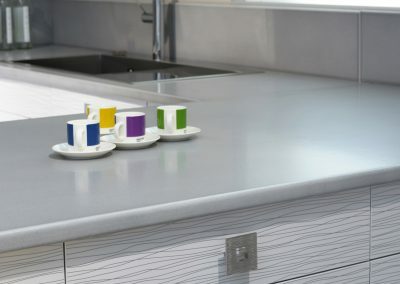 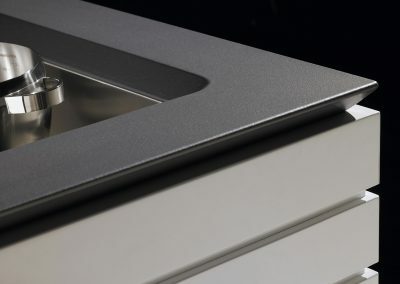 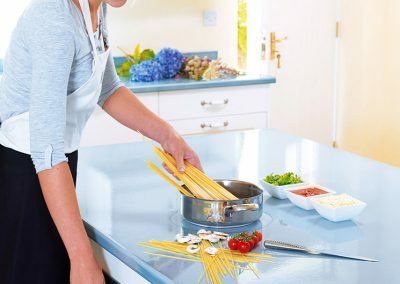 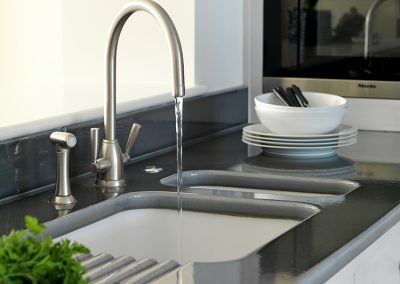 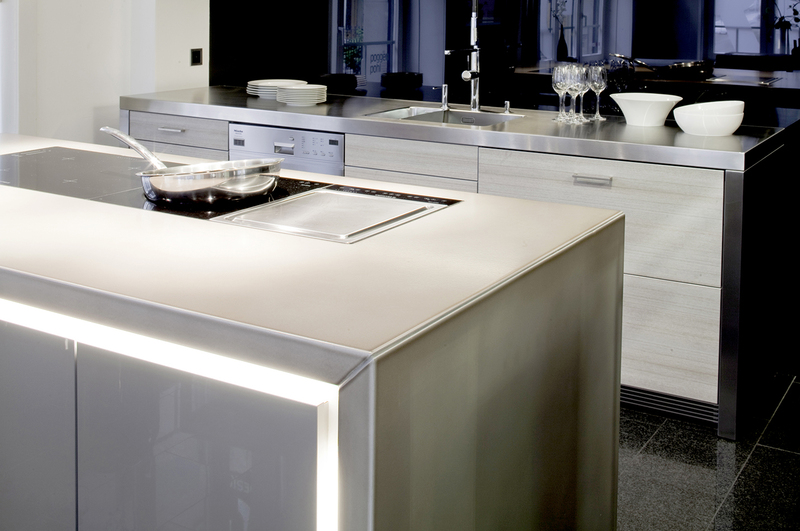 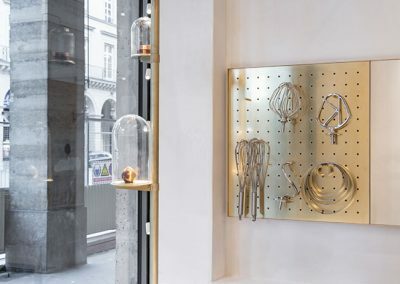 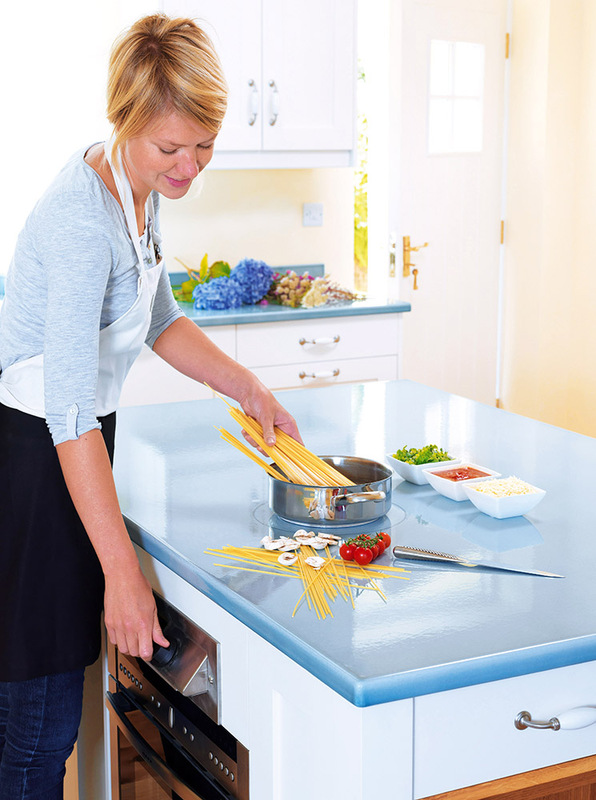 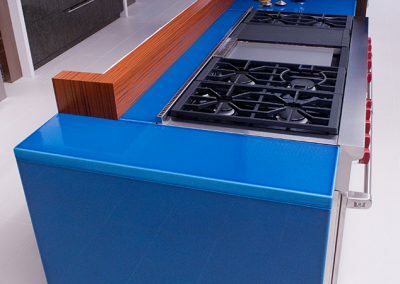 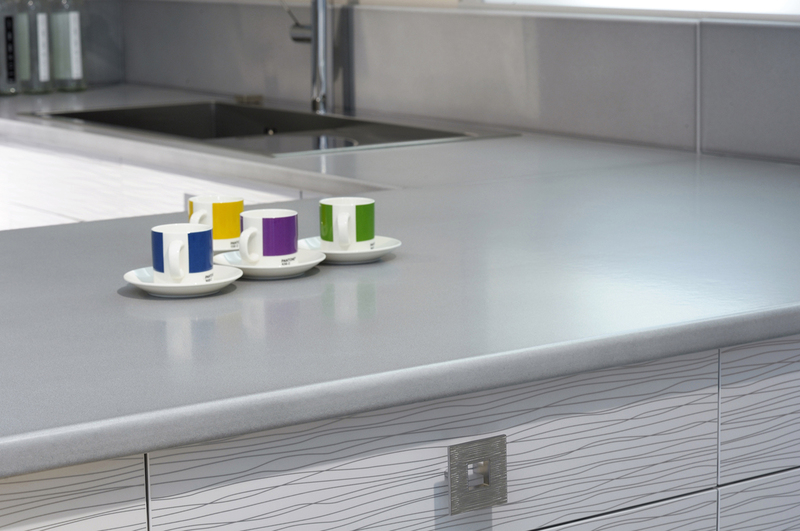 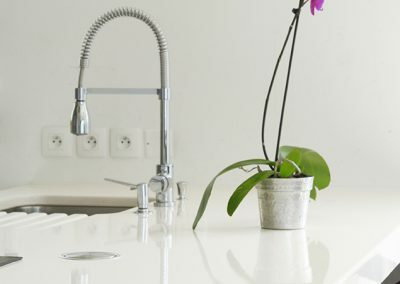 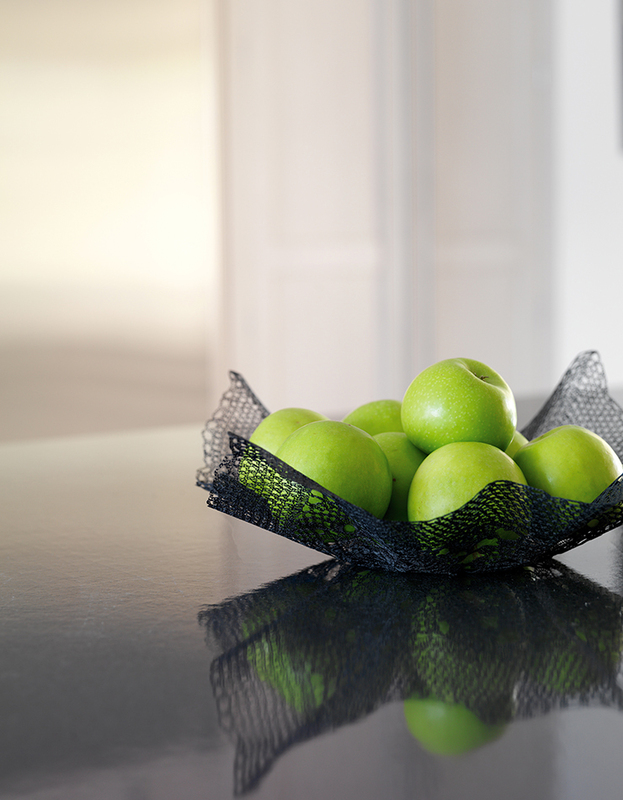 We offer all the standard worktop essentials such as various different drainer rib options, finished cut outs for under-mount sinks, as well as more remarkable possibilities such as seamless induction cooking directly through the work surface. 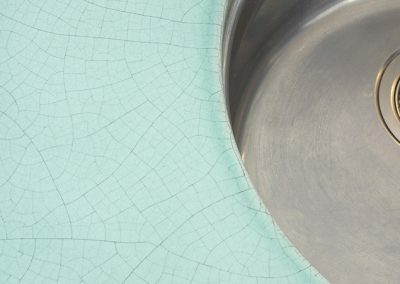 This has to been seen to be believed!! 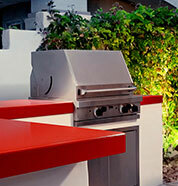 The standard size of our lava slabs are 2.4 x 1.3 meters. 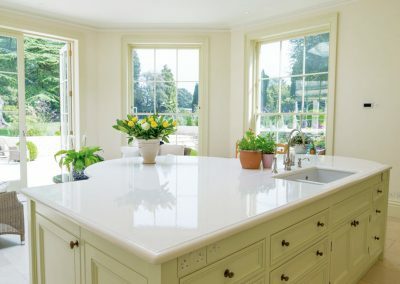 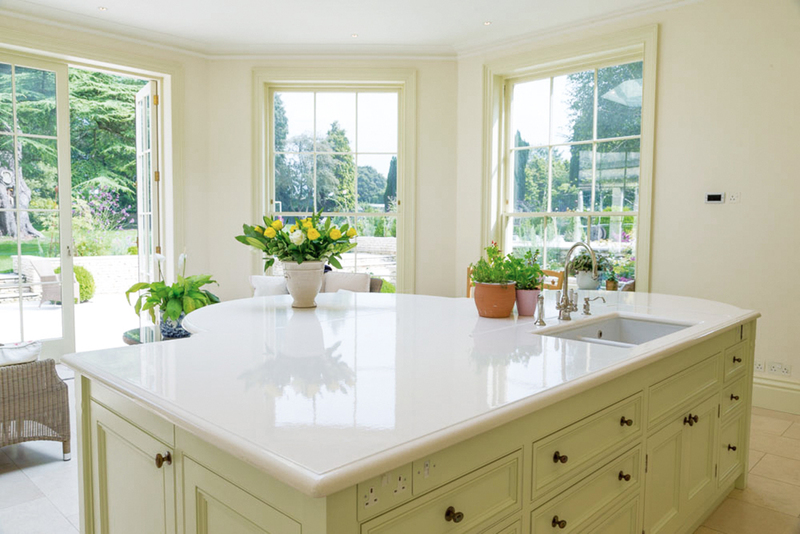 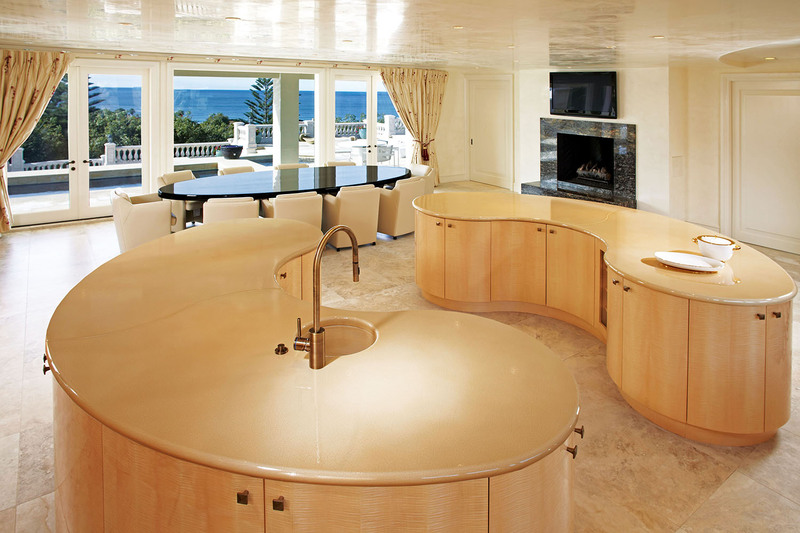 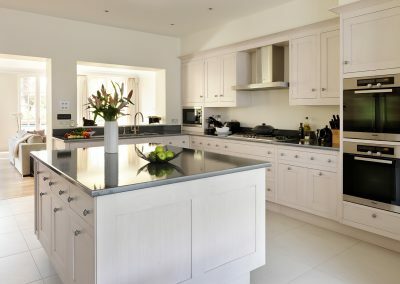 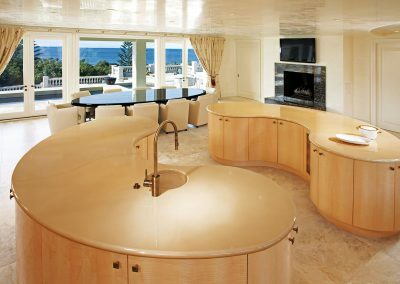 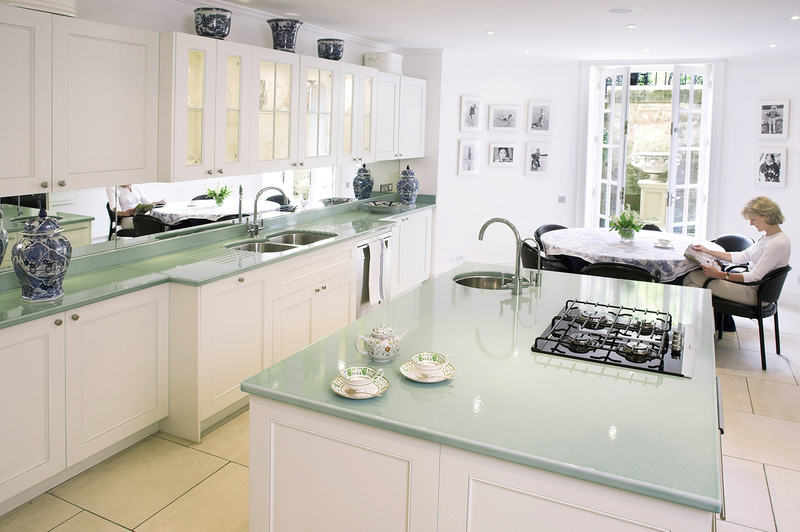 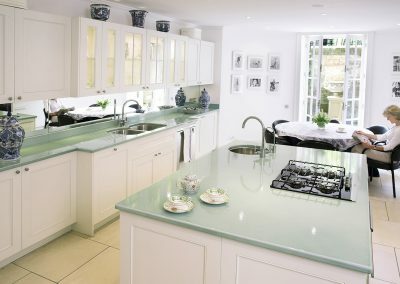 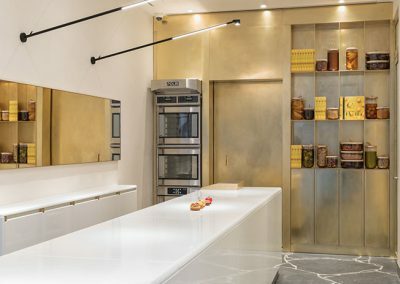 We do have limited larger pieces reaching 3.0 x 1.4 meters (subject to supplying time and technical feasibility) for outstanding central island counters. 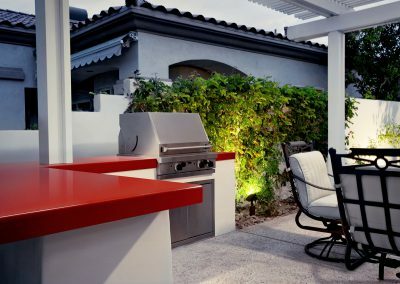 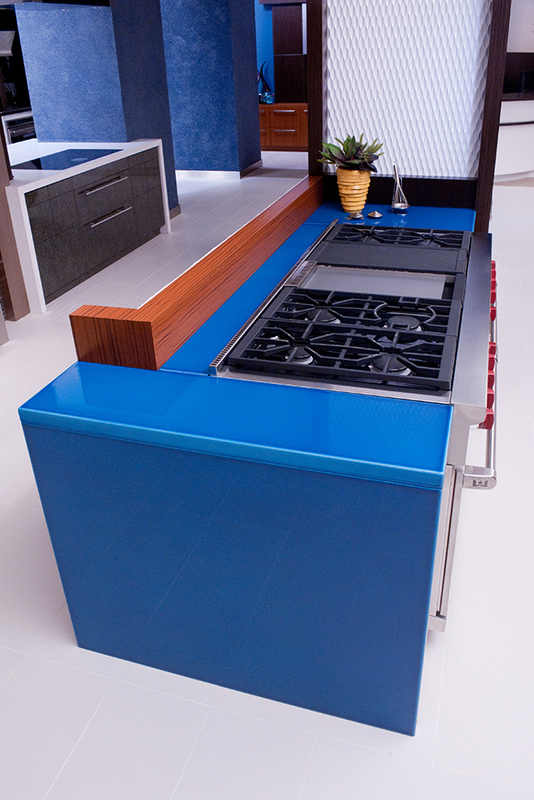 Pyrolave enamelled lava is also a fantastic option for any outdoor summer kitchen too as the enamels are unaffected by UVs and it’s a non-porous, frost-resistant surface.